I’ve mentioned before that favorite cruiser quip; “Cruising is just fixing your boat in exotic places” – and so of course, here we go again. About 1000 miles and several months ago I mentioned having lost a fiberglass batten from Sionna’s mainsail, and my most excellent “Scotty moment” (that’s a reference to the Chief Engineer in the original Star Trek TV series, for you non-Trekies out there) as I fashioned a replacement from some wood I had aboard for another project. That first fix actually lasted about a month, but the batten I’d made was too light, and it broke during a boisterous sail. So the second attempt was more robust, nearly twice the width, and it lasted nearly twice as long before snapping in half at the same point. Clearly, Ash is not the wood for this particular application! So what to do? 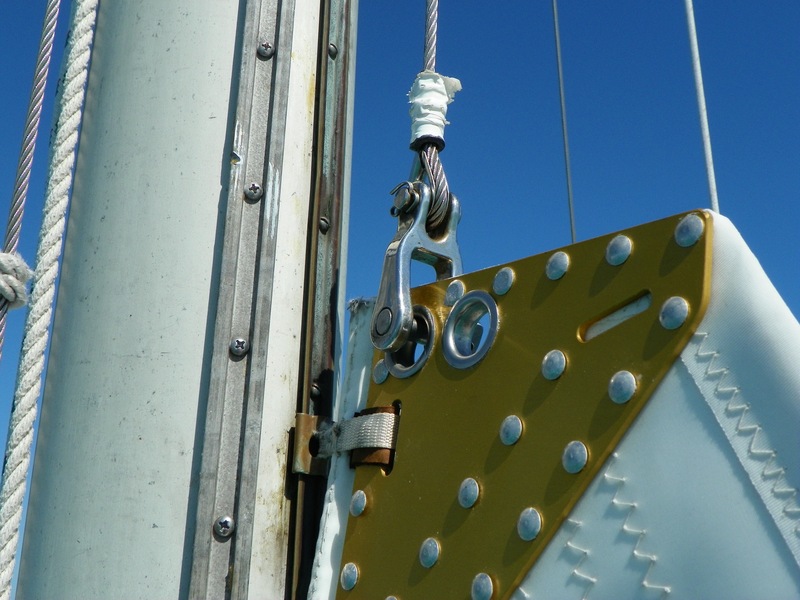 Not fixing it isn’t an option – the purpose of a batten is to control the shape of the sail for maximum efficiency, and it’s lack was obvious in Sionna’s sail ability. 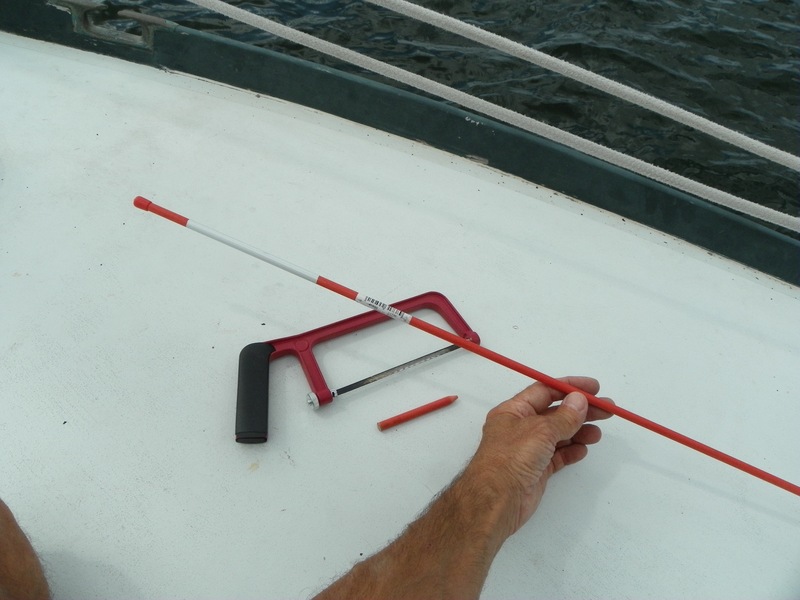 The original batten (similar to the one pictured here) was a specially priced fiberglass rod, intended for a yacht. Could a similar rod NOT priced to sail be pressed into service for the same purpose? A rod from – say – Home Depot? A $1.99 version? So I brought it back to the boat, measured it twice, and cut it once, with excellent results, at least visually. We won’t know until the next time we sail whether it gives the best shape to the sail, but certainly it will be better than nothing, and much stronger than the ash prototypes. 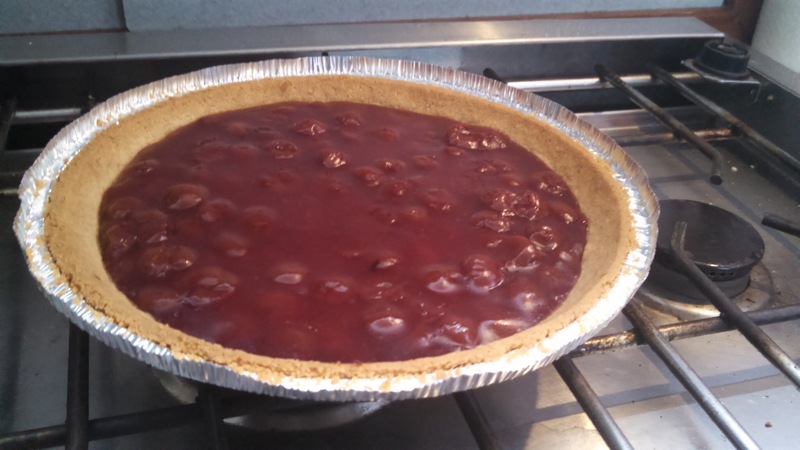 (Initial attempts at a repair are always “prototypes”, not failures!). 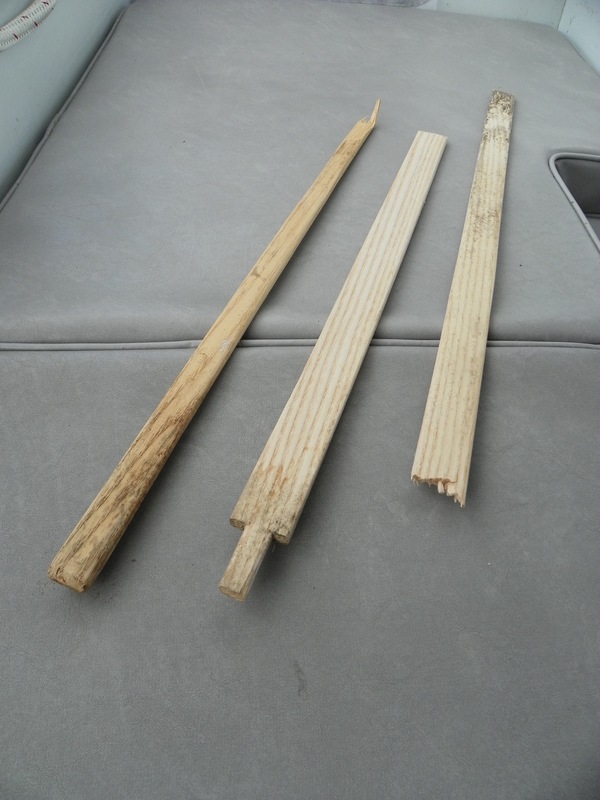 I’m hopeful that we’ve got a long-term solution to “The Case of the Missing Batten”. Here’s to another “Scotty Moment”! When last we left our heros, they had narrowly escaped the clutches of the evil Dr. Marathon and the dreaded “Field of Moorings”. But what now? Let’s join them and find out! End of drama simulation. Because really, when you choose to live on a boat and travel 2800 miles at 5 miles an hour, you don’t need to invent drama – it just kind of happens. We departed Marathon on March 25th, and since then have been kind of quiet. The occasional sunset picture on Facebook, of course, and a brief mention of another rum-based beverage in paradise, and that’s about it for the last three weeks. I’m speculating that it was those pictures and mentions that caused my going from over 300 Facebook friends to less than 20. All my former FBfriends are from the north, and along about the end of February they finally realized that the one thing they really couldn’t stand was someone living on a boat somewhere warm. But I digress. From Marathon, Sionna made her way westward along the Keys, with two-day stops at Bahia Honda Key, Saddlebunch Key, and finally Key West. Those stops gave us an opportunity to slow down, re-learn about sailing and cruising, and just basically get used to being mobile again. 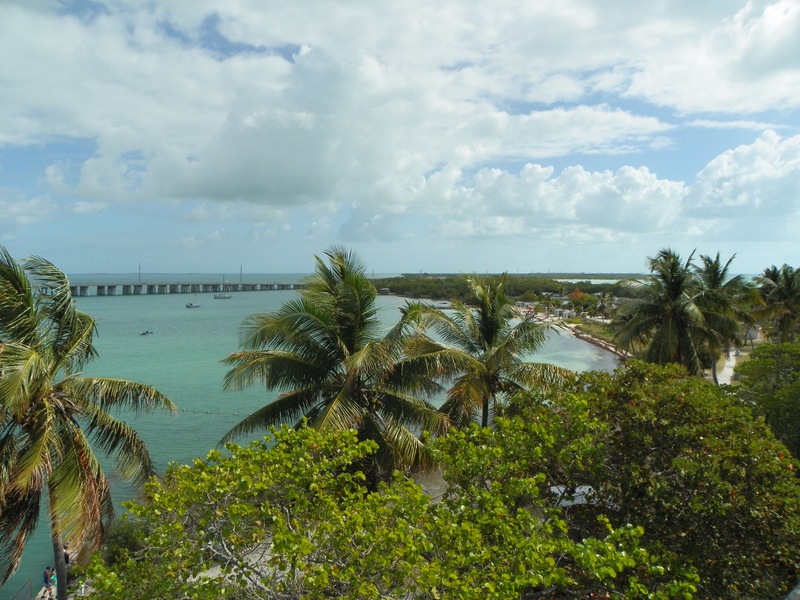 Yes, one of those boats is Sionna, anchored off Bahia Honda Key! Bahia Honda is a State Park, which on the plus side means there are services (heads or “bathrooms” in land-speak), but on the minus side, there are also people. LOTS of people. And it was Spring Break. And of course what comes with people? Trash. As we walked the beach, we’d look down and see, not shells, but plastic bottled water lids. Not jelly fish, but plastic bags. Ok, to be fair we also saw jelly fish and shells and sea beans and kelp and all those things, but the amount of plastic crap that’s washing up on the beaches EVERYWHERE we go is just plain obscene. Yes, obscene. We pick it up when we see it, as much as we can, but it feels like a very small effort because from 50’ of beach we carried everything our hands could hold back to the trash can 3 times, and still didn’t get it all. And then there are the micro-pieces, the bits too small to easily see, but which sea creatures love to eat, thinking they’re food – which can kill the fish and turtles and whales and ultimately us. We (and by “we” I mean you and me and the other 7.6 billion humans on this planet) need to do better. Next stop for us was Saddlebunch Key. Here, we get to talk about a bit of that natural drama I mentioned earlier. Tornados. 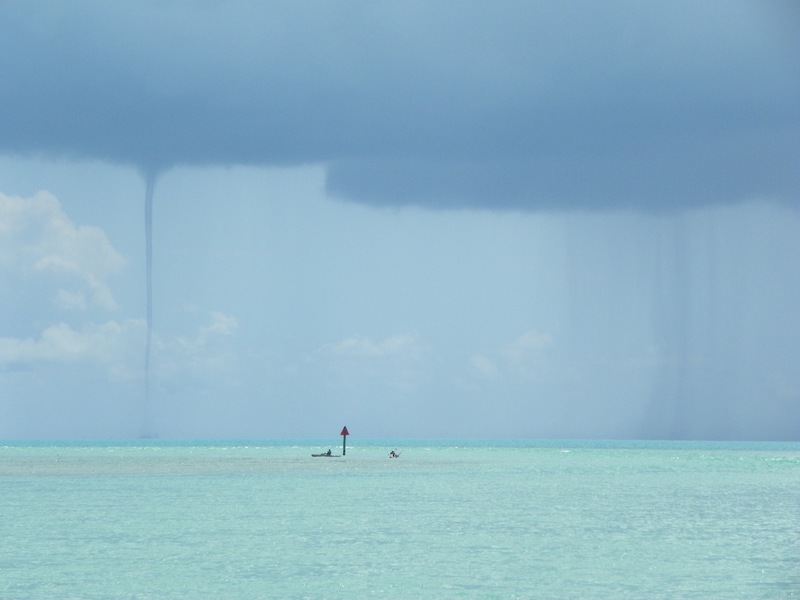 Tornados are generally pretty dramatic, and it was from our anchorage in the Saddlebunch Keys that we got to watch a funny little weather system which – according to the National Weather Service – spawned “at least” 12 water spouts, which is what they call a tornado that forms over water. Just let me say that – for the record – there were a lot more than 12 of them. Nicki and I counted at least 25 of the little suckers. And that’s just what the one in the picture is doing: Sucking water up off the surface and into the cloud above. See the guy in the kayak, next to the red marker? Do you think he might be having his daily dose of drama-induced nervous energy right about now? Me too. Next, we headed over to Key West and found – surprise – more drama! We broke something! You’re probably beginning to think that cruising is all about drama, aren’t you? Well luckily it’s usually not, but it does have its moments, and we had a couple of them, quite close together. We don’t have many breakage problems on Sionna, largely because we did a pretty good job of looking for potential weak spots before we left Maine. We replaced and reinforced where we could, and it’s paid off. 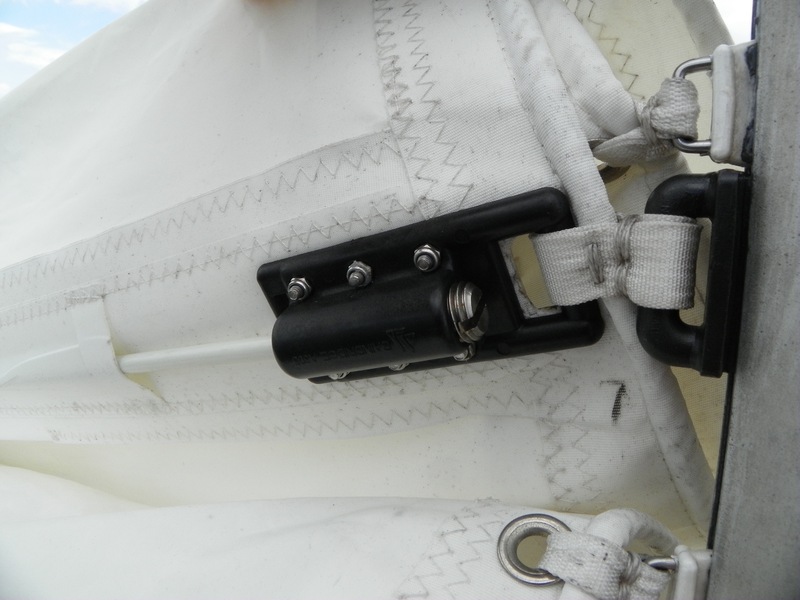 Still there were a couple of instances where I said “That’ll be fine” that I’ve wished right along I hadn’t, and one of those was the main halyard shackle. Except that’s the new shackle. The old one looks like this: Broken. The awesome news is that because I was concerned about that shackle, at least subconsciously, I’d packed in our spare parts bin an almost brand new shackle to replace it “someday”. And some day came as we were heading into Key West. 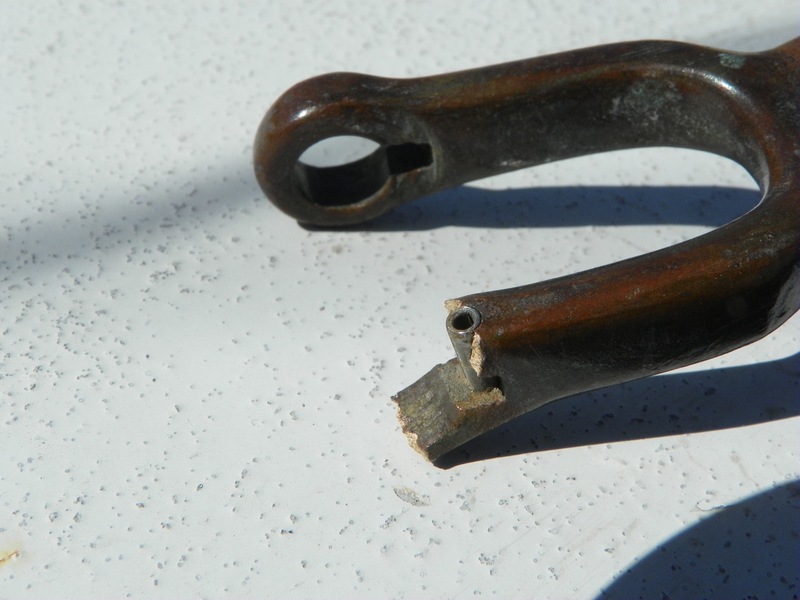 A motor boat went by, way to fast (Floridians get a kick out of making sailboats roll radically – it seems to be in their genes), the sail filled suddenly with the roll, and that shackle pin I was concerned about said “bye-bye” and snapped the shackle in parting. 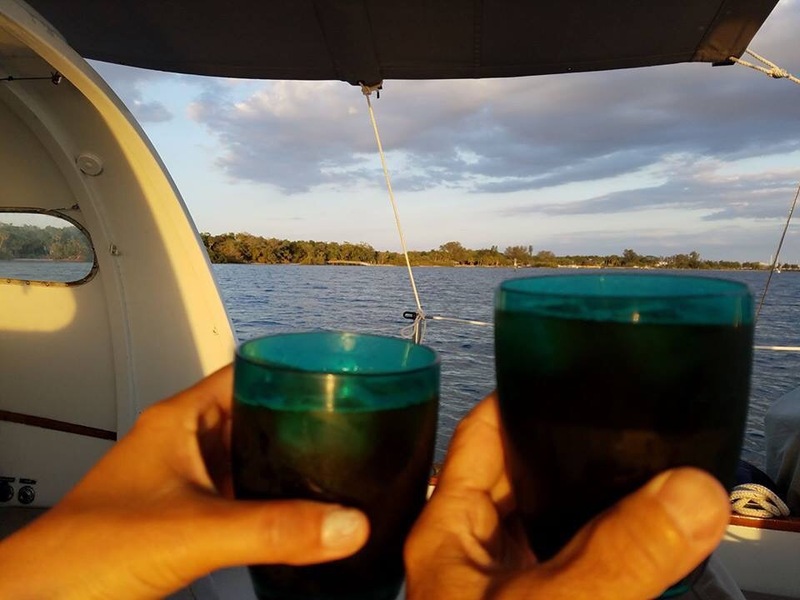 So, we picked as sheltered a spot to anchor as we could find, and waited for the calm of evening, at which time I strapped on my rock-climbing harness, and Nicki helped crank me up the mast, 42’ above the water surface, to retrieve the end of the halyard. 3 minutes at the top and I was on the way down, mission accomplished. We only stayed in Key West two nights. Even anchored, if you go to town they all but charge you for the air you breathe, and we really didn’t need much. 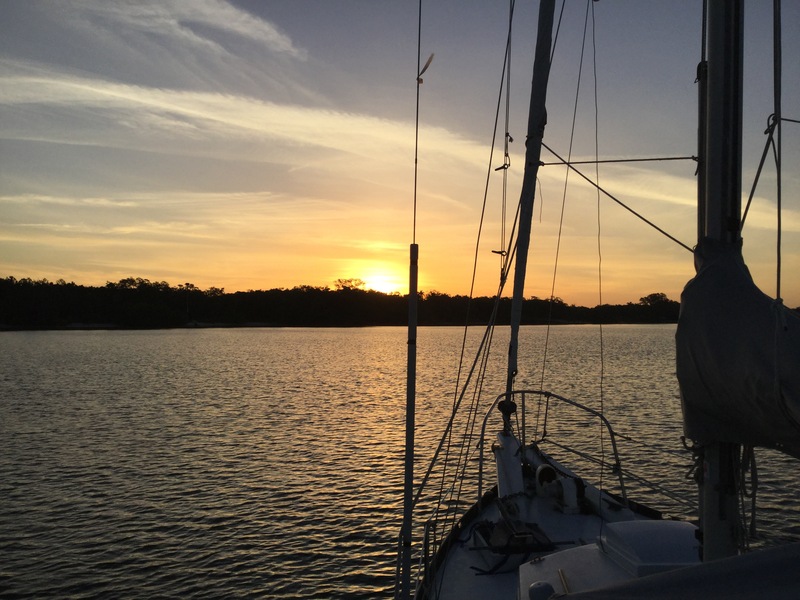 A few groceries, one very nice meal out in an almost reasonably priced hole-in-the-wall brew-pub (it’s been a while since we dared have that splurge), and early on March 31st we hauled anchor for the 26-hour overnight passage to Fort Myers. Yes friends, it’s time for everybody’s favorite game show, “Where did it all go?” And where the heck are they, anyway? 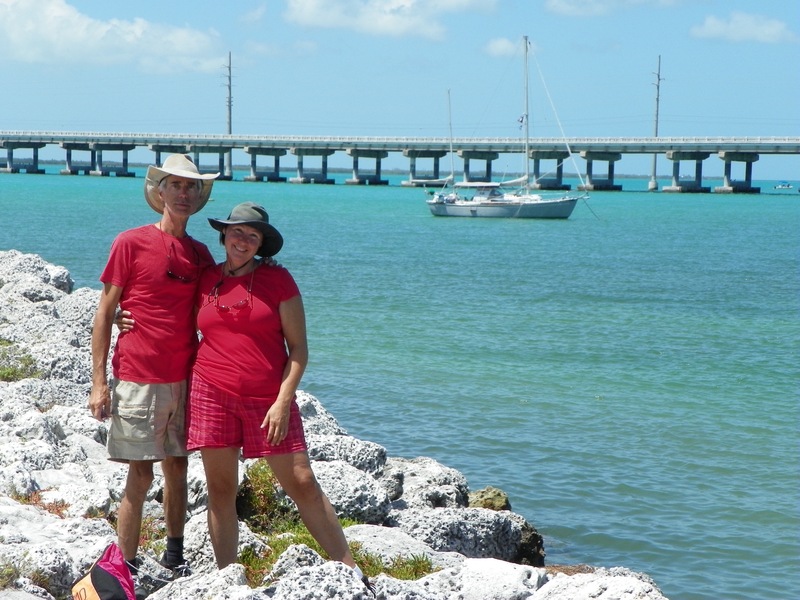 We spent most of March on a mooring in Boot Key Harbor, Marathon, Florida. It’s a pretty nice place if you like company – LOTS of company – and if you enjoy having continuous excuses for spending money. As planned, we dropped the mooring on the 25th (Well, one day late, but that’s as close to a plan as we get these days…) and headed west. 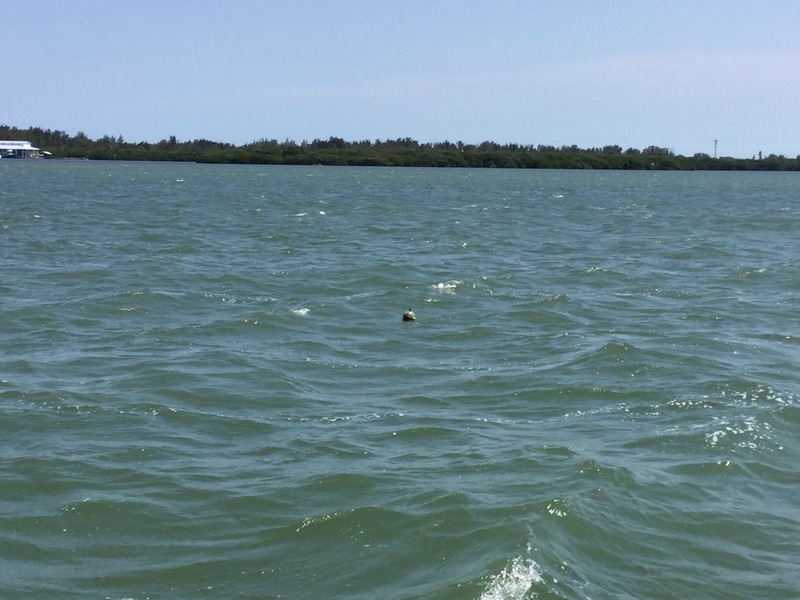 We stopped at a number of lovely island anchorages, got hoisted up the mast to recover a broken halyard shackle, chilled briefly in Key West (City slogan: “You Can’t Afford It.”), then jumped off for the 26 hour passage to Fort Myers Beach before mostly motoring north to the Bradenton area – which is where we are now! So with March well behind us, let’s take a peek at the events (and expenses) that kept the crew and the boat happy and mobile during our month’s travels. Here, presented in no particular order, are some numbers that I found interesting from March, 2017 or – where so noted – since we left Rockland In August. Enjoy! By The Way: If you want to see where we are at each stop, look us up on Farkwar. It costs nothing and won’t try to sell you anything – it just lets your know when I post a new location. Follow along! 1188 nm (1366 sm) – Miles from Rockland in a straight line. $89.97 – Personal care. Haircuts, replace a skirt or shirt, etc. * 28% increase over February! **Includes food, toiletries, paper products, booze, etc. ***That “dark money” category. Who knows where it went? Categories: Boat maintenance, budget minded, Cruising, Equipment, Frugality | Permalink. Actually the sound the anchor alarm makes is more of a high, reedy warble than a “beep”. It’s actually quite a pleasant sound. Or would be, except for it’s message. I step out into the cockpit, and look for my “range”. In this case, it’s the north end of the island about a half mile to our west, lined up with the “V” shaped notch in the tree-line about a half mile farther on. As long as the relationship between my eye and those two marks is the same, we – in our floating home – are still firmly attached to the sandy bottom beneath these less-than-placid waters. If it changes, however, our anchor has lost it’s grip. And no doubt about it, we’re moving. Team Sionna steps up to the plate. I (Keith) reach down to start the engine “just in case”, while Nicki turns on the depth sounder (showing how much water is beneath us), chart plotter (electronic charts and GPS), and VHF radio. Now none of this is a surprise. We’ve been watching an approaching cold front for three days, and as of last night, the passing front was expected to arrive about 7am today, bringing with it a rapid shift in wind direction. If our primary anchor has one weakness, it is in its ability to dig in and reset again after just such a wind change. This 35# “CQR” brand anchor is a wonderful device, and once set has been very reliable, but it needs time and a gentle touch to set properly into the sandy bottom, and passing cold fronts aren’t always gentle. So it was that at 5:57am, I awoke to the feel of a change in the breeze, and the sight of almost continuous distant lighting. The front was approaching, and better to greet it awake, dressed, and coffee-in-hand than otherwise. Sure enough, just over an hour later, our vigilance pays off when Sionna swings to the new northerly breeze and snatches her anchor from the bottom. So what to do now? Wait. Not for too long, mind, and not inattentively, but patiently. While waiting we watch the surrounding land, the water, our depth, other boats, the GPS and the anchor alarm simultaneously to see whether the anchor resets properly. We’ve got a little room behind us, so if we get a hook within 50 feet or so, we’ll be just fine. 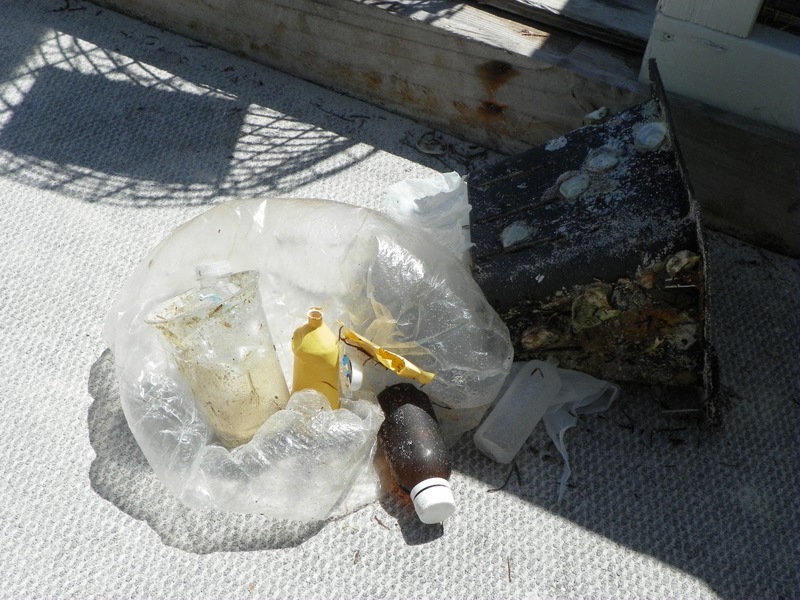 This report from Nicki, who’s below in the cabin reading the depth sounder and anchor alarm. From my vantage point in the cockpit, I could see our movement initially, but for the last 20 seconds or so we seem to be steady, swinging slightly back and forth, but not moving away from the wind. Sionna’s bow (front) has also come up firmly to point into the 20 knot northerlybreeze, another positive sign that the anchor has indeed buried again. Now we usually avoid close proximity to crab and lobster floats because they have a line beneath them, holding them down. Wrap that line around your propeller or keel, and life can get interesting in a hurry. In this case, though, it’s handy to have it there. The float is attached to a trap, which is sitting on the bottom. If we’re not moving in reference to the float, WE must be attached to the bottom too. So we wait. Five minutes go by, then ten, then five more. Sionna is tugging at her anchor with each gust of wind and wave, and every tug helps pull the anchor a little deeper into the bottom, strengthening our position. We begin to relax, and I shut down the engine. Never used, but always ready, just in case. The wind settles down to a steady north at 20 knots (23 mph) with occasional gusts to 29 (34 mph), and we ride comfortably in our new position.